Fasting, abstinence, almsgiving, prayer; Lent is soon upon us, and is a desert in which to reflect on the coming Mysteries of Holy Week and the Resurrection. Remember you are dust, and to dust you will return. No ashes will be distributed outside these Masses. Fridays in Lent, 7 pm. Join us as we walk the way of our blessed Lord and reflect on the Passion. Benediction and the Divine Praises will take place immediately after stations. All welcome. Pope Francis has once more asked for churches worldwide to offer more opportunities for Eucharistic devotion and confession on the weekend of Laetare Sunday, and St. Francis de Sales is doing its part. Books, devotionals, bottled water, and bathroom facilities will be available. 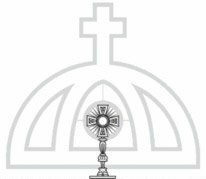 March 9: Exposition in the monstrance for silent adoration begins at 5:30 pm on Friday. Confessions will be heard at 6 pm. Stations and Benediction takes place with our Lord exposed in the Eucharist at 7 pm. Adoration resumes until 11 pm. March 10: Adoration resumes after the 9 am morning Mass and novena until just before the Vigil Mass. Small groups of 5–8 meet once a week during Lent starting Ash Wednesday and are a wonderful and grace-filled opportunity to grow closer to God and each other this season. Sign up sheets for groups and times will be available in the church vestibule from Feb 10 onwards. We welcome your presence and experience! Queries should be directed to Sr. Alice Daly at 215-485-2005 (c).